Joint Pain and Arthritis in the Horse. Are Injections the Only Solution? Joint disease is a common manifestation of life, aging and often a result of many contributing factors including conformation, deformities and repetitive overuse. In the horse, joint pain is common not only with aging due to deterioration and arthritis, but is also present in the younger group secondary to high levels of stress to the areas associated with training and competition. In all groups, we have an often daily dependence on pain medications, but in the horse, this progresses one step further to include a joint injection, which is repeated quite often to help keep the athlete competing. In many respects, we have come to accept these therapies as the only means of management, but are they really helping and is there more that can be done? Is it also possible that some of these therapies, despite good intentions, may be creating more harm in the end to our equine companion? With further knowledge, we can understand better and consider different options. Joint pain impacts all species including the horse. No one species is immune to joint deterioration, arthritis or degenerative joint disease (DJD), and it happens to everyone on some level. It is true that in many cases, genetics plays a major role mainly through conformation, and limits the extent that the condition can impact some. Despite this, in most cases, every animal and person will suffer through joint pain on some level, at some point in time. The process of aging is mainly to blame but it can be quickly accelerated when adding in repetitive overuse of joints such as occurs with work or even exercise. In most cases, we rely heavily on pain medications ranging from non-steroidal anti-inflammatories (NSAIDs) to narcotic medications to help ease discomfort and improve the ability to ambulate through the day. The daily regimen for many people, pets and horses includes administration and use of these pain medications. In both the veterinary and human medical pharmaceutical world, NSAIDs and narcotics are one of the most commonly prescribed medications, but are they really helping and is there more that could be done? Being a veterinarian, I know that these pain medications can be very beneficial to the patient, helping to reduce daily discomfort and improve mobility. However, I also know through experience that they do not help every patient and in many cases, the benefits achieved do not outweigh the side effects. Even in those patients that do benefit, I have found that many of them could do better and feel better. Despite daily use of NSAIDs in a large portion of the equine population, many do not clinically benefit, and despite lack of benefits, veterinarians continue to prescribe and owners continue to administer? Are we doing the right thing, not only financially but in respect to long term health? Are there other options that should be put into place to assist response either with or without daily NSAID administration? The one concern that I have always had as a veterinarian servicing sport horses, is the overuse and demand for the joint injection. Now, there are several scenarios in which we may elect to use a joint injection as part of a therapy program, but by far the most common reason was to reduce joint pain in the equine athlete. I have to admit that I have performed hundreds if not thousands of joint injections, but in those cases in which it was performed to improve soundness for an equine athlete, I always questioned the purpose. Up until 2006, I questioned the purpose of the therapy but continued with it because I had no further options for my patients. What I noticed over time were two things. First, my patients seemed to be requiring the joint injections more frequently. In many, we were initially injecting an affected joint twice yearly, but soon, we were injecting every 8 weeks or even less. Second, many owners were scheduling appointments specifically for a joint injection. It wasn’t an appointment for a lameness or joint evaluation, but more so they already had the diagnosis made and therapy chosen. Most of these horses I had not seen or treated before, so it was not a repetitive procedure on my end, and many of these horses had no prior diagnosis or evaluation by a veterinarian. The owners knew they had a lame horse and based on recommendations from others in the equine community, they requested a joint injection. This was concerning to me as it demonstrated a dependence on a pharmaceutical over and above a proper diagnosis, evaluation and welfare of that animal. Are oral medications and the joint injection the only options we have at our disposal or are there potentially better options to help ease the discomfort and improve quality of life? In order to answer this question, we have to first gain some knowledge and understanding of what is truly occuring. We all share the same problem, so in reality the process does not vary significantly from species to species. What is arthritis and joint disease in the horse? A joint is an enclosed space where two bones meet and have motion upon one another. We have joints in our arms, legs, fingers but also in the vertebrae of our backs. Joints allow for motion, ideally frictionless motion, of two bones upon one another. The ends of the bones contained within a joint are covered by articular cartilage, which allows for smooth movement upon each other. Then, the entire joint is enclosed by a joint capsule, which produces joint fluid serving as a lubricant to the bone ends, but also serves to contain the region and keep the fluid within that area. Like many other areas of the body, the joint is sterile, meaning it is void of bacteria. Arthritis is essentially inflammation of the joint, by definition. Given this definition, inflammation present within the joint is actually responsible for the deterioration that we will all experience on some level. In most cases, the diagnosis is made through evaluation of x-rays or radiographs, detecting cartilage loss within that joint and possible bone remodeling, including spur development or even fusion. What many do not realize is that by the time this level of diagnosis has been made, the problem had been present for quite some time, but on a different level. Arthritis begins in most cases on a soft tissue level, meaning it impacts the joint capsule and surrounding structures of the joint. This is usually noted as soreness, early stage stiffness or even joint swelling that comes and goes. As this process continues, the problem becomes more severe, the inflammatory process grows and soon, cellular processes involving joint fluid production and even cartilage or bone health are impaired. This is where we begin to note that a joint is ‘dry’ or void of normal levels of joint fluid and we begin to see radiographic changes on a bone or cartilage level. Many fail to see this level of progressive worsening, including owners and veterinarians, only diagnosing joint disease or ‘arthritis’ when bony changes are evident on radiograph. This is incorrect logic and by missing the stages of development, we are also missing stages of intervention. So, as you can see, the process is progressive, however by being progressive, this implies that we have stages of development. The more stages that we have, the more opportunities we have to intervene for the most optimal outcome. The whole goal with any therapy is to modulate or impact the inflammatory process. In the cases of NSAIDs, they do help to reduce inflammation and improve comfort level, but in reality, considering the scope of the inflammatory process, they are quite limited in their action. To explain further, the process of inflammation is quite complicated, involving many different cellular pathways and the production of numerous pro-inflammatory proteins. NSAIDs, at current doses, only reduce one main enzyme involved in the process, which is termed Cyclo-oxygenase or COX. For the sake of discussion, the two major COX enzymes for consideration are COX-1 and COX-2. COX enyzmes are not only involved in inflammation and pain, but are also required for certain normal cellular processes involving the stomach, intestinal, cardiac and kidney health. COX-1 is the more important of the two COX enzymes that is required for normal health, but COX-2 is also noted to be of importance as well, especially in humans for cardiac function. Through the use of NSAIDs, especially at higher and frequent doses, it is possible to develop side effects ranging from ulcers to impaired kidney function. Considering this, some pharmaceutical companies have created more specific COX-2 targeting pain medications to reduce side effects, however this route has proven to be potentially harmful in humans due to cardiac side effects and even in horses with some hindgut concerns. Even if there were no side effects, we quickly realize that there is more to the picture of inflammation that what these medications address. They can and do improve comfort, but the condition continues to progress, sometimes quickly, which increases more and more demand or dependence on these medications. Steroidal anti-inflammatories are also commonly used when NSAIDs fail to continue to provide relief for the patient. Steroidal medications include dexamethasone and prednisone, which work on a higher level than NSAIDs, but essentially providing similar results by impacting a few more inflammatory pathways at recommended doses. Steroids have higher rates of side effects, including those found with NSAIDs, but also include liver complications, immune dysfunction and water retention. Narcotic medications are often the next resort, especially in humans and pets. These medications actually do very little to improve the inflammatory situation, but more so target the perception of pain by the body. Despite being fraught with side effects, including physical dependence, they do nothing to change the condition. In the equine industry, a joint injection is often chosen as a first-line therapy option or used along with oral NSAID medications. 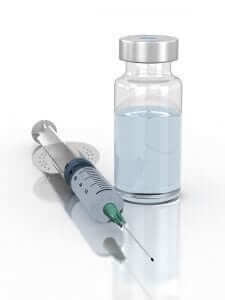 Joint injections are used infrequently in the human and companion pet industry. The most common medications used in direct joint injection therapies include corticosteroids and components of joint fluid and cartilage including hyaluronic acid. The overall goal is to reduce inflammation and improve comfort, which they do provide, but at what potential cost to the patient? We have to remember that the joint is a sterile place and despite surgically prepping a joint prior to injection, infections post injection do occur and when they do, they are quite serious and can be career ending. We also have to remember that with each puncture of the joint capsule by that needle, we are inflicting inflammation and through this, we may actually encourage more damage to the joint. Joint injections are effective in most cases, but in reality, they do very little to change the situation and due to the fact that the condition continues to deteriorate, the dependence on the injections can increase in frequency. With increased frequency and further joint deterioration, it can also become more and more difficult to properly place that needle within the joint, which overall can reduce efficacy. The use of a joint injection makes the assumption that the inflammatory problem is confined to that one or two affected joints, when in fact this is not correct. We may have a horse with a right hock soreness, but more often than not a problem is present elsewhere additionally. We know this to be true as the process of inflammation is systemic in most cases on various levels, not always confined to one specific region of the body. Cells communicate via these inflammatory proteins and thus a localized problem quickly can escalate to a systemic one. Take into consideration a horse with a lumbar or lower back lameness. In most instances, this may be the most obvious area of concern, but if we dig deeper we realize that there is also a problem in the rear leg, possibly affecting a joint, foot or tendon. We also see this often post joint injection, where the initial problem seems to be resolved, but soon, the horse develops another lameness in a different leg. In many instances, a horse is diagnosed with a shoulder or hip problem, when in fact this is actually secondary to another issue in that leg, often due to compensation over time. The same holds true for people and companion pets as the process is almost identical. As a veterinarian, in 2006, I began to seek alternative options for my patients. We were doing too many joint procedures and dispensing too much medication for my taste. The process of inflammation became my focus, how it impact the body and contributes to disease development. Inflammation is not a disease, but is a consequence of many factors. These consequences include the normal process of aging, diet, genetics and stress on a physical and emotional level. The end result of inflammation and how it manifests in that patient IS the disease. I always considered myself a traditional veterinarian, applying the usage of medications when dictated by the patient, however, I began to realize new options to improve patient comfort. Herbs became a focus for myself, not because I became an alternative therapy doctor, but more so because I was a traditional veterinarian applying what research had taught me. It was through the research of others that we began to explore options for our patients outside of the world of pharmaceuticals. Instead of just prescribing a medication, we took a different approach to actually promote health for that patient by balancing or normalizing the process of inflammation. Once a joint has developed arthritis, nothing can ‘cure’ this condition or reverse it…nothing! However, we can improve quality of life, reduce discomfort and even enhance joint function on an entirely different level. Every patient can benefit, but the level to which the condition has progressed dictates the results. Herbs including Curcumin, Boswellia, Dandelion, Fatty Acids and specific antioxidants including vitamin C, E and CoQ10 can be used to safely impact the process of inflammation on a much higher level that most medications. This is what we explored and implemented for our patients, both horses and companion pets. The outcome was that my personal joint injection rate in horses dropped by almost 90% as we could achieve better results through a different approach. This approach is not a typical joint supplement therapy, but works on an even higher level and can be combined with traditional therapies in progressed patients to enhance the impact. Despite this, it continues to be a hard concept for many people and horse owners to wrap their head around as we are led to believe that pharmaceuticals are the only option. This simply is not true. So…one may ask, “If I am using these nutrients and/or herbs, why am I not seeing clinical benefits in my horse?” This is a double-edged sword and a loaded question to an extent. Many will quickly dismiss the ability of herbs and nutrients to impact conditions such as arthritis, simply because of deductive reasoning, ” I tried X herb or nutrient on my horse and it didn’t work”. The fact is that just because clinical benefit was not seen in that particular case does not equate to incorrect information. To be honest, I think that one of the biggest reasons behind failure to see clinical benefit lies in the fact that most of these herbs or even nutrients are being dosed too low or not in the right combination, especially in advanced cases. There is much research to demonstrate the marked benefits of many herbs and nutrients on inflammation and oxidative cellular damage, including arthritis. However, the ultimate question comes in regards to dosing, frequency and even combinations to achieve benefits. I don’t rely on isolated, synthetic nutrients including Vitamin C and E, as examples, but use them as part of a program, a regimen, combined with more specific herbs to achieve benefits. I rely heavily on herbs, and often in very high doses extrapolated from research, as the main backbone to any regimen. Dosing is critical and the more severe or advanced the condition, often the higher the dose required to benefit the patient. But what about expense and cost? Well, one has to determine what the end goal is with any therapy? Are we just trying to get that horse through a competition or event without regard to the future or even well being? Or are we trying to enhance overall health, function, vitality and hopefully preserve joint health for the long term future? Each owner is different in regards to their reasoning. Are herbs expensive, especially at proper dosing? They can be, but expense is relative. When we look at the cost behind a joint injection, including veterinary visit, travel time and maybe missed work, coupled with a high likelihood that the condition will escalate, herbs are a very cost effective and beneficial option when applied correctly. Through the use of proper herbal supplementation, we are not only addressing that joint issue or concern, but also benefitting the entire well being of the horse. This may mean that not only is lameness improved, but vitality, stamina, performance and even mentation is enhanced as well. They are all connected and we don’t get those benefits through a joint injection. Can an equine patient with joint disease and a history of long term joint injections be helped? The answer to this is an emphatic ‘YES’, as we did it for years in clinical practice and as part of a rehab program. However, there are limitations as with any therapy. First, we have to remember that joint disease is a progressive condition, so the earlier we intervene, the better the prognosis. Better to catch that joint proactively BEFORE joint cartilage and bone remodeling is evident. Second, the more advanced the condition, the more joint remodeling present, the more difficult to manage regardless of therapy. Does that mean we shouldn’t do it? No, it just means that it may prove more challenging, but what do we have to lose? The more injections we put into that joint, the worse the problem will likely become. Third, most joint conditions have secondary factors involved, either as a primary contribution or secondary outcome. For example, a horse with hock problem will have an altered gait and range of motion. This alteration will lead to improper foot wear and even increased stress on other areas of the body due to compensation. For the optimal outcome, we need to address these issues, if possible, alongside of our chosen herbal and nutrient therapy program. By thinking outside of the box and considering all options, it is possible to improve quality of life and daily function on a much higher level. Considering that the process of inflammation really occurs in stages, we have many opportunities to intervene and the early the better. Inflammation is a fact of life, but if we take the approach that ‘prevention is worth a pound of cure’, then it may be possible to slow many of these conditions before they grab a foot hold and impact daily life. Age related deterioration is inevitable, but through implementation of various options, life can be restored and improved. We need to realize that subtle clues are in front of us in most situations, but we fail to recognize them or manage them properly. Opportunites come through understanding. At Nouvelle Research, Inc., we are here to help! Is it allergies or COPD?? What about stem cell injections, for example in human knees and horses’ hocks? There are now in the San Francisco area 3 different practices offering stem cell injections for people and claiming they cause creation of new cartilage. What can you share about the efficacy of this treatment? Hi Fran. Stem cells are promising in some aspects and research, but there is a long way to go in regards to use in therapy. Thanks!